The most common reason I hear from people about why they haven’t achieved their work-at-home goal is a lack of time. No doubt, your life is busy. But so are the millions of other people who found a way to work from home. 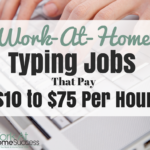 I had small babies and was working a full-time job when I started my work-at-home journey. 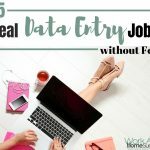 So how was I and all the other people who also have busy lives able to find the time to build a home-based career? While I can’t speak for everyone, I do know that for me, it came down to wanting it really badly, and making the time to do what needed to be done. Here are my strategies for building a work-at-home career when you don’t have a lot of time. To help you out, I’ve created a free printable to help you find more time to do the things you need to do, and to prioritize the tasks that will have you making money the fastest. 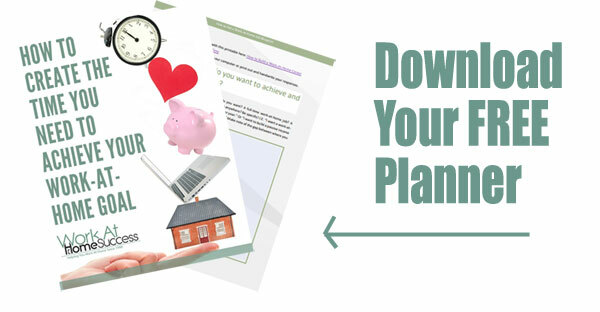 Download Your Free Make Time Planner. No opt-in required! Step One: What to you want to achieve and where are you now? You can get anywhere without knowing your starting point and where you want to go. If I want to go to Disney World (where I want to go), I need directions from my house (my starting point). The same is true in working at home. You need to know where you are and figure out where you want to go. That starts buy getting clear and specific about the goals you want to achieve. What type of work do you want to do? What do you want to earn? 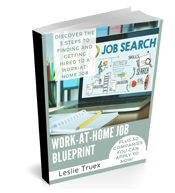 Do you want to work from home or on a beach or in an RV? Step Two: What steps are required to get to where you want to go? Most people have an idea of what they want, and yet don’t do anything about it short of searching Google looking for fast and easy work-at-home options. 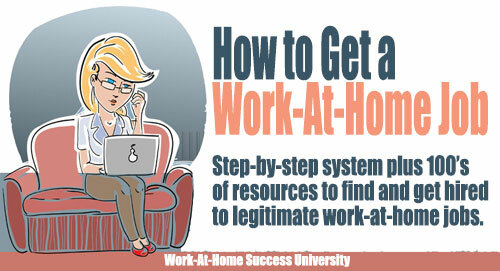 The reality is that working at home takes time an action. To get from where you are now to where you want to go, you need to know how to get there and then follow the map. 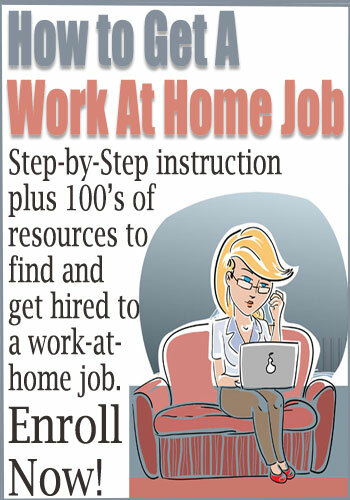 How do you get a work-at-home job? Hint: know your skills, search for jobs, send a resume, etc. 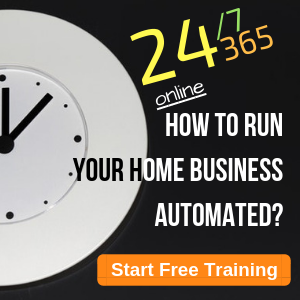 How do you start a home business? If you don’t know the steps, then your first step is to figure out the steps. 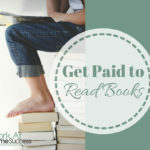 That starts by reading books, blogs and other resources to learn how to do what you want. Step Three: What do you spend most of your time doing now? What tasks can you delegate, outsource or delete? Knowing what you need to do doesn’t really help if you don’t feel you have the time to do it. This is where you find the time. 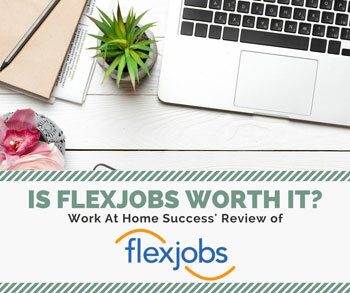 Everyone I know who works at home had busy schedules that included raising kids, a job, volunteer work and other activities, and yet they made their work-at-home dream come true. 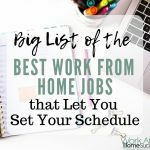 The first part of getting real about your time is deciding how important working at home is to you. If you don’t have time now, then something has to give and you’ll need to weigh your work-at-home dream against the activities of your day. Certainly you’re not going to put it above your family, but you can put it above social media or watching TV. Start by listing all the activities you do each day. Be real and honest. If you’re on Facebook two hours a day, write it down. If you’re binge watching TV, write it down. But also include other activities such as laundry, cooking, taking kids to activities, etc. Once you have your list, go through and figure out what you can delegate, outsource, or delete. For example, you can have your kids help with chores. Maybe your spouse and kids can take over dinner duties two or three nights a week. You can outsource house cleaning. Some tasks you can delete, such as watching TV. If you’re honest and you really want to work at home, there’s no reason you can find at least one hour a day to work on your work-at-home goal. Step Four: What tasks will offer the biggest results ($) the quickest? You made a list of work-at-home tasks in step two. Now it’s time to figure out which ones are the most important. Setting up your filing system is important, but it doesn’t make you money. From your list, figure out which things can make the money the fastest and focus on those. If you want a job, that’s searching and applying for jobs. 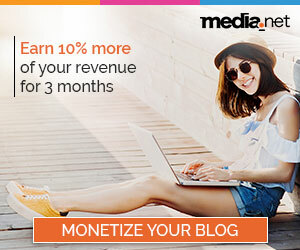 If you want an online business, it’s all the steps that get you online, and then getting the word out, over social media graphics, listening to podcasts. I’m not saying busy work or listening to podcasts aren’t important, but their not more important than the tasks that make you money. If you have to choose between searching for a job or listening to a podcast, the job search should come first. Step Five: Prioritize and schedule the big results items. Now that you know the most important tasks to do first and you made time in your day, it’s time to put them in your daily schedule. Whatever time you created, put in your work-at-home tasks in that time slot. Focus, prioritizing and time management is the secret to work-at-home success. Step Six: Protect your time and eliminate distractions. Your best intentions can go haywire if you’re interrupted. Anticipate and deal with any issues you may have with your new schedule. Turn off your phone and computer notifications. Make sure your kids are busy with an activity. Find a quiet, distraction-free place to work. Step Seven: Go do it! Now all that’s left is to do the work. If you do one thing a day towards working at home, you’ll make big strides in less time than haphazardly working on your goal. If you search for jobs 30 minutes a day, and apply to at least one a day, you’ll have applied to 30 jobs in a month. If you do one thing a day to create a passive income with information products online, in 7-10 days you can be up and running. The point is that you don’t need huge blocks of time, and if you’re putting off your work-at-home tasks waiting for time, you’re just slowing yourself down. Slow and steady wins the race, especially when trying to work from home. 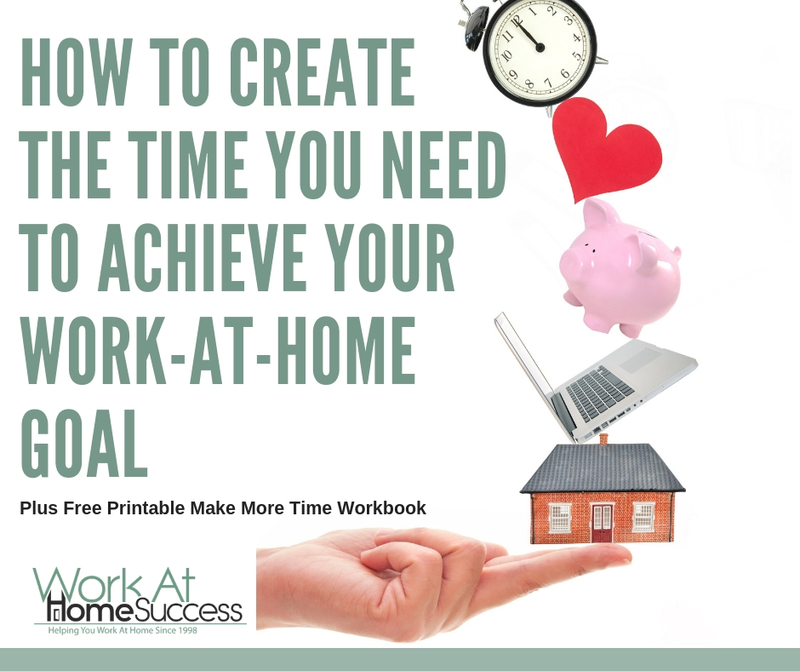 Do you have time management tips to achieve work-at-home success? Let us know in the comments below!